Situated at the top of the Northern Territory, Kakadu National Park is famous not only for its natural beauty or as the location of an epic scene from ‘Crocodile Dundee’, but also for its vast collection of ancient rock art. 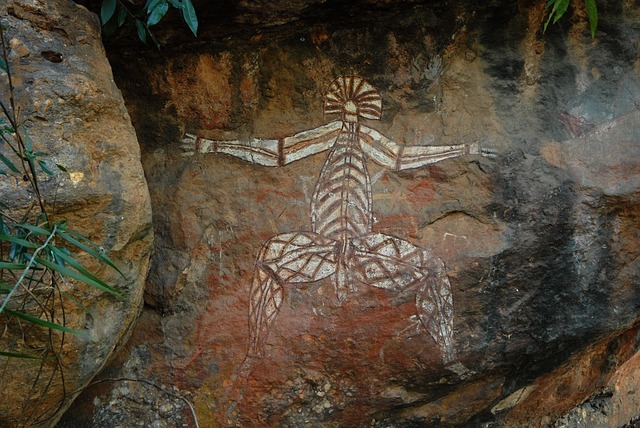 Ubirr, Nourlangie Rock and Nanguluwue are world renowned for their exceptional examples of Aboriginal cross hatch and x-ray art, some of which was created over 2000 years ago. 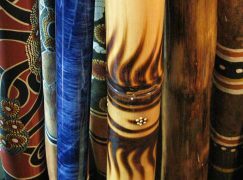 Each piece of art tells a story and you are likely to come across images of iconic animals such as the kangaroo, barramundi or even the thylacine (Tasmanian Tiger), as well as paintings of famous Creation Ancestors such as the Rainbow Serpent, the Namarrgarn Sisters or Mimi spirits. Whether created to pass down the lessons of their ancestors, to aid fellow aboriginals in their hunting quests; to depict important religious ceremonies or simply for fun – there is no doubt that these drawings are a fascinating and spectacular sight to behold. 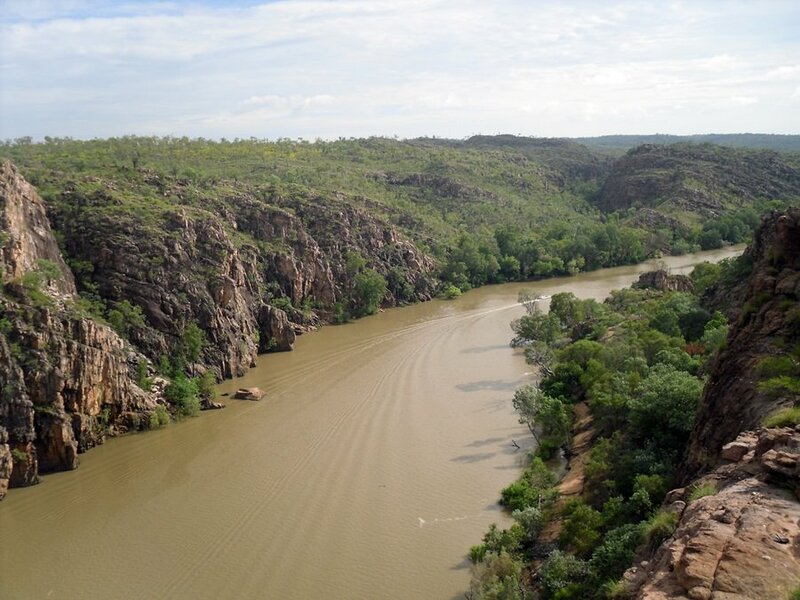 You may not have heard of Nitmiluk, but you will have probably heard of Katherine Gorge – a dramatic collection of thirteen gorges, waterfalls and rapids carved by the Katherine River, which form the central attraction of Nitmiluk National Park. Nitmiluk means ‘place of the cicada dreaming’ and this area is said to have great ceremonial significance to the Jawoyn – the local Aboriginal people. Again, this area is covered in caves and ancient rock art sites depicting the abundance of wildlife and ancestral spirits that dwell here. If you’re lucky, you will probably spot many of this wildlife for real when you enter the park as its entrance is ‘guarded’ by hundreds of fruit bats hanging from the trees above as well as numerous rock wallabies. The best time to visit is during the lead up to the Wet Season where the landscape comes alive with the sounds of nature. 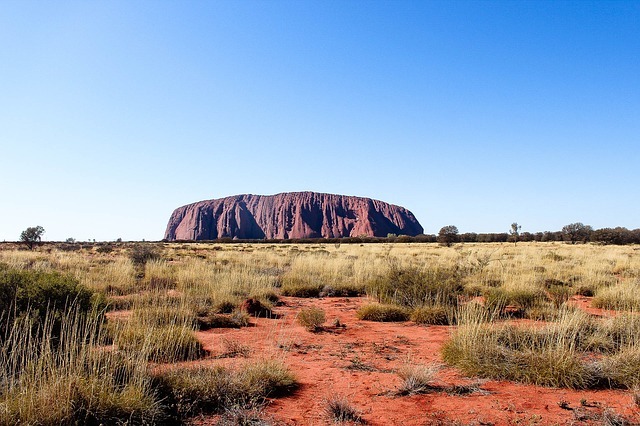 You will more than likely have heard of Uluru via its more common name, Ayers Rock. 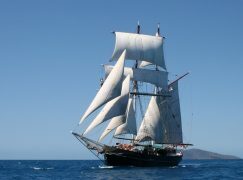 As perhaps the most recognisable landmark in Australia, it is another ‘tourist attraction’ that represents a lot more than meets the eye. Situated in the Uluru-Kata Tjuta National Park and sacred to the Anangu people, Ayers Rock is surrounded by myth and legend, not only about its formation, but about the scars and shapes found all over its surface. One legend states that the massive sandstone rock was formed as a result of an epic battle between two tribes of ancient spirits, or ‘Lizard People’. Many of the strange marks on the sides of Uluru are the ancient scars of this battle and each one tells a story of morality that has been passed down through generations of aboriginal families. The land around Uluru, as well as the rock itself is also sacred and is still said to be inhabited by the spirits of dreamtime creatures today. This fascinating group of ancient rock formations is found in the same area as Ayers Rock – the Kata Tjuta National Park – and as most of the Outback’s famous landmarks, the Olgas have a story of their own to tell. 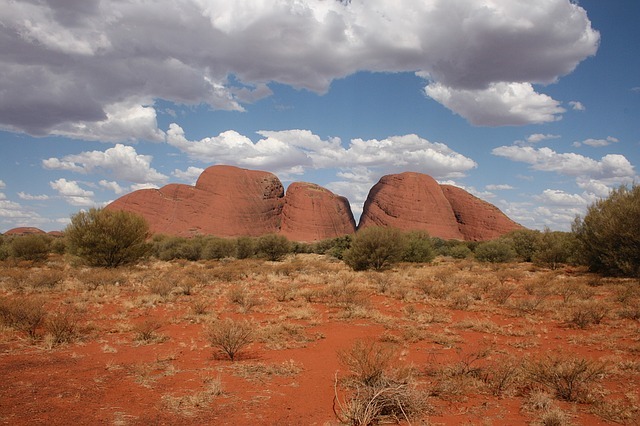 These 36 sandstone domes are said to be home for many Aboriginal ancestors such as the snake king Wanambi who sleeps in a watering hole at the summit of Mount Olga; the Kangaroo man Malu; Mulumura the lizard woman and the Lira – a group of poisonous snake men. 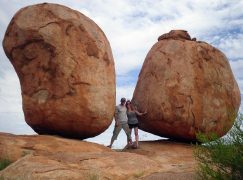 These rocks are really impressive from a distance and can even be seen from Ayers Rock. They form a spectacular sight at sunset but getting up close and personal to them is an even more amazing experience, full of great photo opportunities! 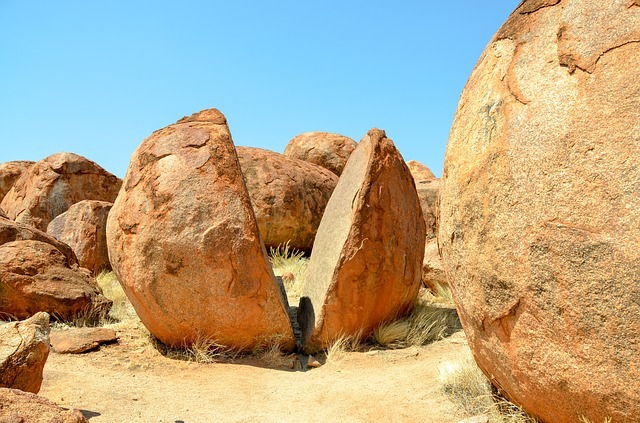 About 100km south of Tennant Creek and 393km north of Alice Springs, lie one of Australia’s most fascinating and most photographed sites, the Devil’s Marbles [link to our site]. 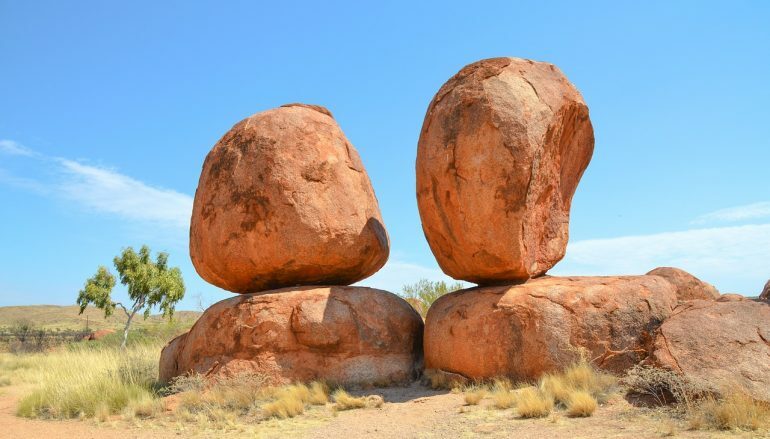 The local aboriginal people know them as Karlu Karlu and whilst many of us may dismiss them as simple, albeit astonishing, geological landmarks – the legend behind them is much more compelling. The Warumungu people refer to the stones as the eggs of the great Rainbow Serpent, Goorialla. 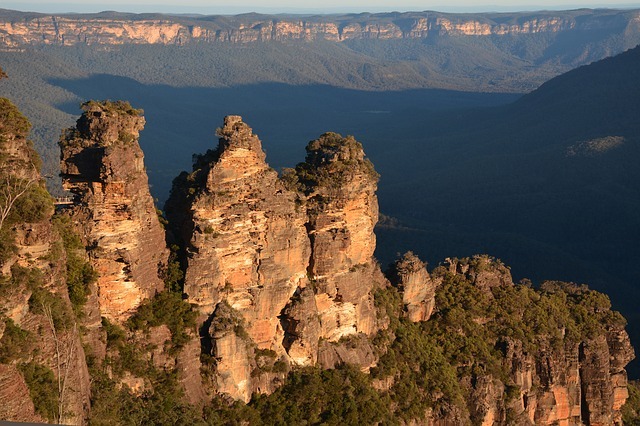 As one of Aboriginal legend’s most revered dreamtime creatures, Goorialla is famous for his part in creating much of the landscape you see throughout Australia. 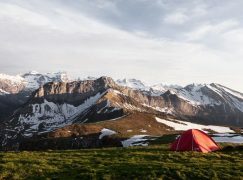 He travelled across the land from South to North in search of a place to call home – his mighty body forming mountains and gorges along the way. As products of the Rainbow Serpent, the Devil’s Marbles are said to hold extraordinary powers and any disturbance to the gigantic rocks are said to result in life-threatening consequences for their guardians. Amazing photos. 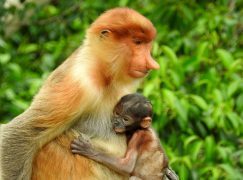 I am planning a trip to Australia this coming January and these photos are a great way for me to get amped. I definitely have to put some of these landmarks on my MUST SEE list. Thanks for sharing the myths and the legends.